HOWL SWEET IT IS!! “The Wolf’s Moon” by Patrick Jones NEW #AUDIOBOOK RELEASE FROM #AUDIBLE #ACX! NEW RELEASE AT ACX AUDIBLE! BUY NOW!! The Wolf’s Moon by Patrick Jones has been on the market for the past three years and is still holding it’s own. I sent copies to my brothers only to find out unless there are pictures with the words, well…you can imagine the rest. Then, I met a fourth grade teacher who told me she no longer had time to read novels anymore. Rachel said she did miss that part of her life, but her kids came first-as well they should. My plight was how to reach people who just did not read for whatever the reason. After spending some hours talking with my wife, she suggested that we again look into an audio book. Since I am a self-published author, the cost of putting the book on CD was out of the question. HOW MUCH?? O M G! My wife, Sandy, suggested that we look into the possibility of an audiobook online. After all, one can read a book using a computer or a notebook, so why not to listen to one? After quite a bit of researching, the company ACX Audible (owned by Amazon) was the choice. We were even allowed to pick the voice of the narrator. Mark Westfield was the man picked for the job – and a great pick he turned out to be! He worked long and hard hours turning out what is now the finished product. Mark’s work is excellent! It is one that I hope you truly enjoy. Saying all of that, I know from your emails that you are all patiently waiting for the next installment of The Linden Chronicles. Good news for my valued readers. 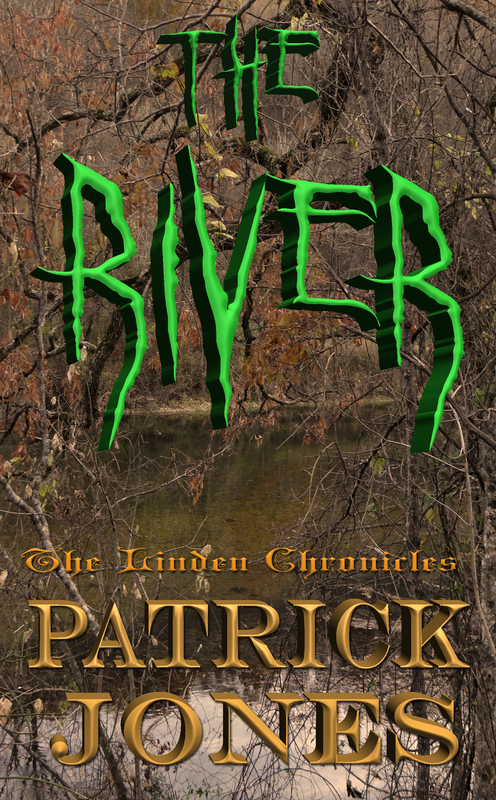 Last night, the editing the newly copyrighted short novel, The River, was finished. Cover reveal to follow soon…stay tuned. We hope that within the next three weeks it will be out for your reading enjoyment! So you know, I started what was to be another short story but it took on a life of it’s own. It now sits at over 70,000 words (without revisions). The sequel to The Wolf’s Moon is well underway. Well my friends, this is the update. 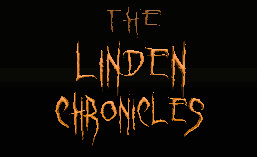 Continue to follow my website, The Linden Chronicles, for the latest news and many other items of interest. One more thing: Thanks to all for the kind words, thoughts and all of your prayers. It has been a rough three years, but you guys made it better! 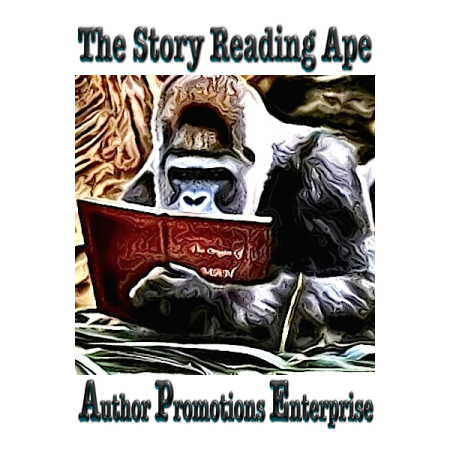 Patrick Jones, author of The Wolf’s Moon, The Linden Chronicles, Book 1 is featured on Chris The Story Reading Ape’s blog today! What an honor to be part of such a wonderful community of people! Have a wonderful day!! I had a couple of hours in between the next hurried crowd of people that wanted a signed copy of “The Wolf’s Moon.” All I wanted was to rest my hand and have a quiet cup of coffee and a cigarette. I picked the grill and pub called Blazers. In the book I called it Barkers but if you are from the area, you know the place. It had great food and even better patrons. There was an open corner table and I rushed to get it. The crowd at the bar was two or three deep and tables were at a premium. I now live in the Ozarks. It’s a great house in a great area of Missouri. In past blogs I wrote on the people here that I am proud and honored to be allowed to call my friends and neighbors. This blog, though, is about my cabin even further into the mountains. It is a log cabin set on a hill looking down into a glade which is part of Pine Hollow. On most any morning, as the sun rises, one can watch wildlife wake from their slumber. Ground squirrels scamper about under foliage and leaf cover looking for a morning meal. Birds start singing, then flying the skies by picking up the winds to glide among the wistful clouds. Embers in the wood burning stove caused fresh logs to blaze and cooked coffee in an old, blue metal pot. The aroma forces a person to pour some of the black liquid into a matching blue metal cup. Sitting on the steps, blowing on the coffee as if that would cool the hot beverage, your attention is again drawn down the hill. One by one, the deer enter the valley to graze. They see me sitting and drinking my coffee but know from my disposition they can continue their eating in safety. By the time the cup is empty, the bacon in the cast iron skillet is crisp and the grease is ready for the eggs. The log structure is small and even smaller inside. There is enough room for one, cozy for two. Light comes from two windows during the day and kerosene lamps in the evening. Water is in five gallon containers stacked in the corner. After breakfast, there is wood to be cut from down wood. Some to be stacked inside the cabin, some outside under a cover, the rest just stacked by the fire pit. When my son and daughter were small, they carried all the rock to line the bottom and sides of that fire pit. That was thirty years ago and the rocks are still in place. By the time I finish all the chores, the sun is below the treetops and it’s time for supper, consisting of a steak and veggies. While eating supper, I listen to “The Radio Reader” on the local PBS station. Every evening during the week a chapter of a book is read over the radio. The coffee is hot again and there is the sound of a truck pulling up the hill to the door of the cabin. It’s a friend and neighbor. His name is Dan and the coal black hair is grey now. He still walks with a small limp. He lost his leg to a landmine but unless you knew that fact, you’d think he just had a rough day. Dan has never been bitter about the loss of his leg. He always has a smile and a good word. Over a couple cups of coffee and a few cigarettes we talk about his family and then mine. The night gets late and under a clear sky the full moon lights the road for Dan to drive home. After I’m sure Dan is safely down the hill and onto the gravel road headed home, I sit with the last cup of coffee in the pot and make notes on paper and on the neat little voice recorder my wife, Sandy, gave me. I know that it’s time for bed when the coyotes start yapping, calling to their young. With the stove full of wood and coffee set up for the next day, I pull my wool military blankets over me. I know peace. Have you ever wondered why wolves howl at the moon? There is so much folklore surrounding the mystery of the wolf. Even a phase of the moon was named the Wolf Moon by the Native Americans. Listen to the answer from Chris on BBC: Zoo la la Earth Unplugged TV! Booksigning at The Harney Mansion: A Haunting Good Time! On September 27, 2014 I participated in a book signing for “The Wolf’s Moon” at The Harney Mansion in Sullivan, MO. This was the historical home of General Harney during the Civil War. This area is rich in history from the times of The Civil War. 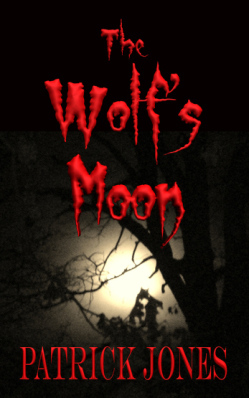 Thank you for your interest in The Wolf’s Moon by Patrick Jones. While not professional, here is a movie from the backyard of our home EARLY this morning starting at 4:00 A.M. I hope that you enjoy it!